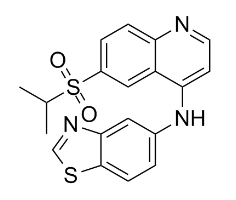 HS-1371 is a potent and ATP-competitive RIP3 inhibitor with an IC50 of 20.8 nM. GSK481 is a Highly Potent and Monoselective Receptor Interacting Protein 1 Kinase Inhibitor (RIP1 inhibitor). GSK2983559 is a selective receptor interacting protein 2 (RIP2) kinase inhibitor. WEHI-345 is a potent and selective inhibitor of RIPK2, with IC50 of 0.13 μM. GSK583 is a Highly Potent and Selective Inhibitor of RIP2 Kinase (RIP2K bing IC50=5 nM; rat in vivo PD IC50 = 50 nM). 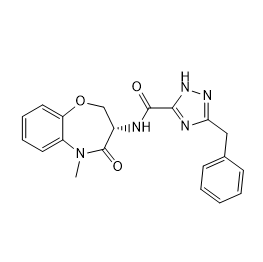 GSK872 (GSK2399872A) is a a receptor interacting protein kinase-3 (RIP3) inhibitor. Necrostatin-1 is an inhibitor of necroptosis, a mechanism of programmed cell death separate from apoptosis. GSK2982772 is a potent and ATP competitive RIP1 inhibitor with an IC50 of 16 nM.